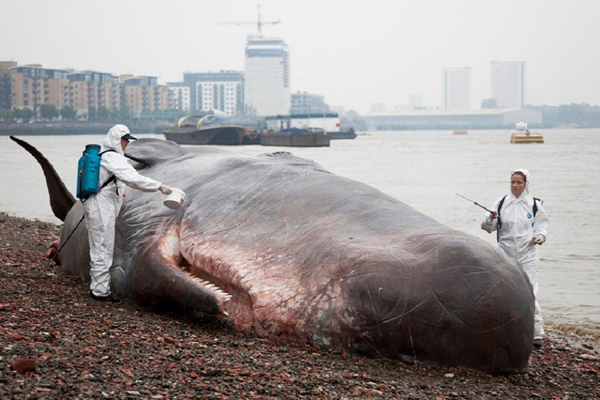 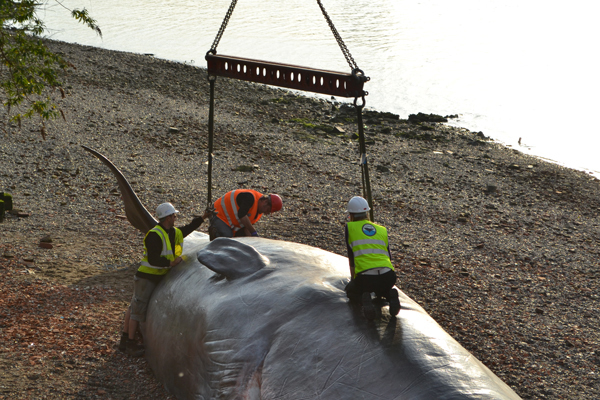 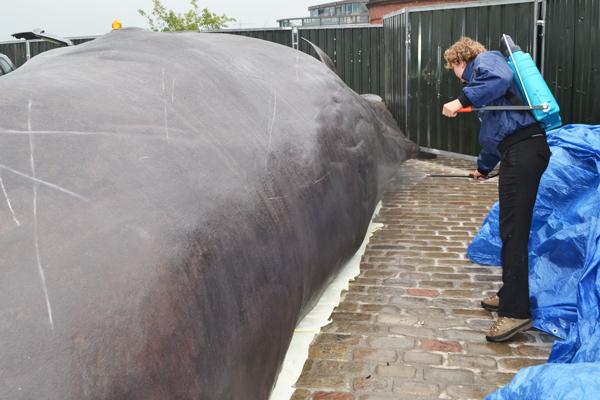 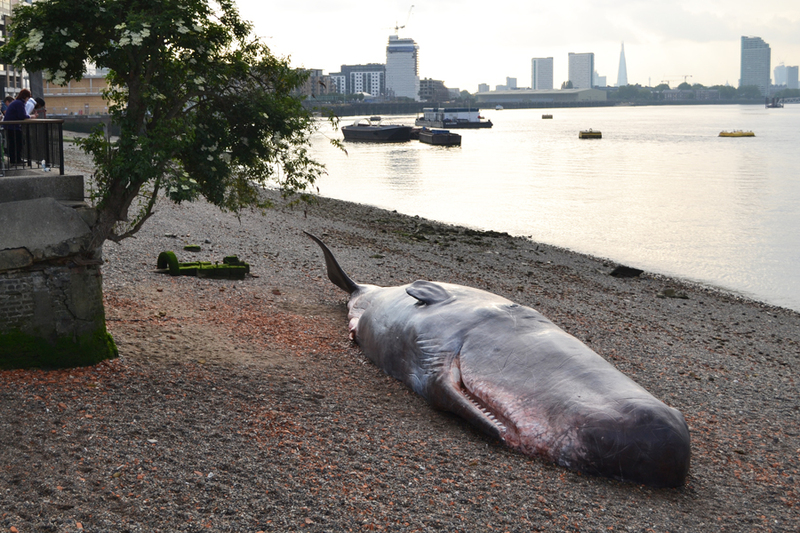 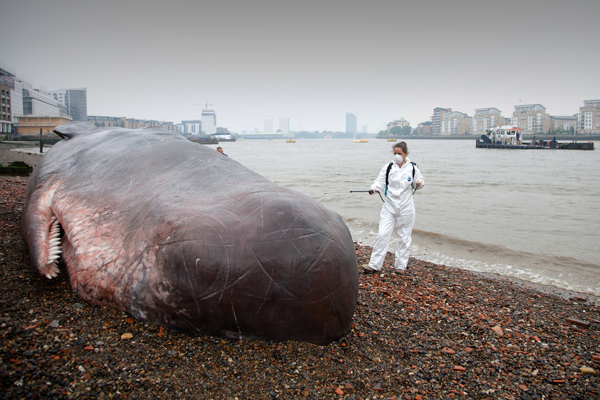 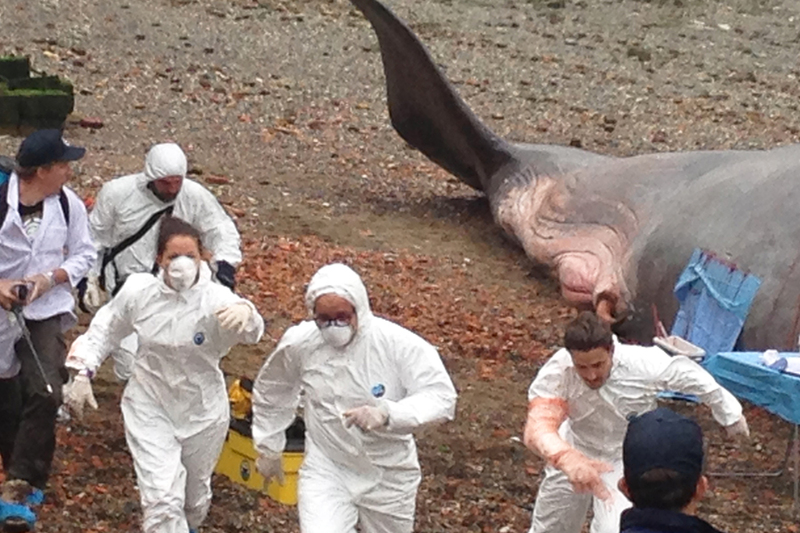 In june 2013 the whale beached on the Thames river bank in London and opened Greenwich and Docklands International Festival. 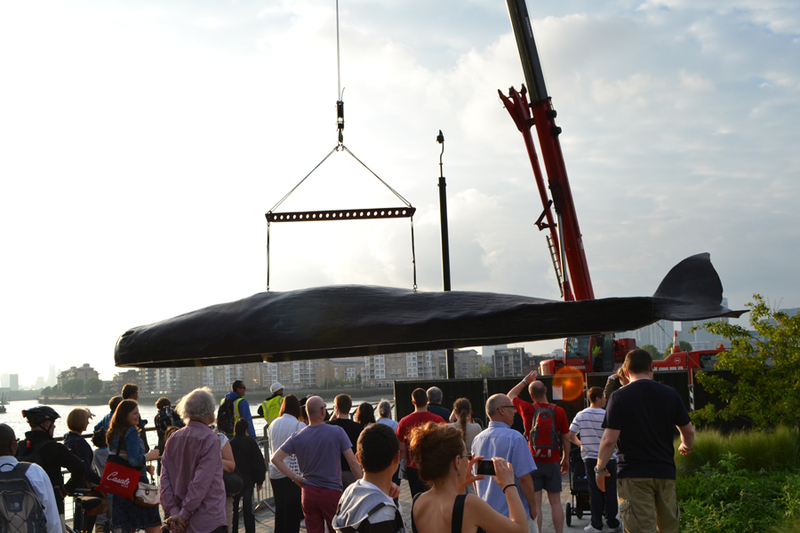 We had a great cooperation with the organization British Divers and Marine Life Rescue (BDMLR), who demonstrated their whale rescue techniques. 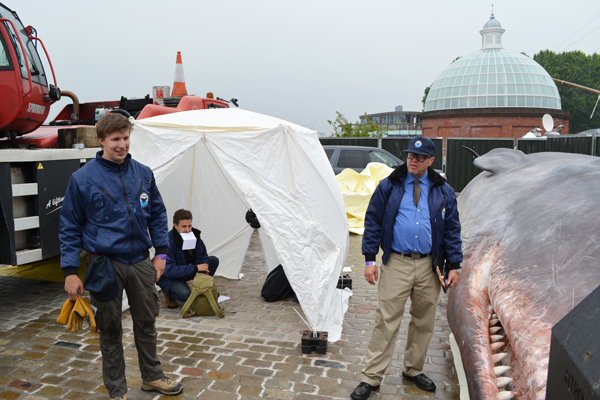 Thousands came to see our whale and the event was covered on BBC news, The Guardian and international media. 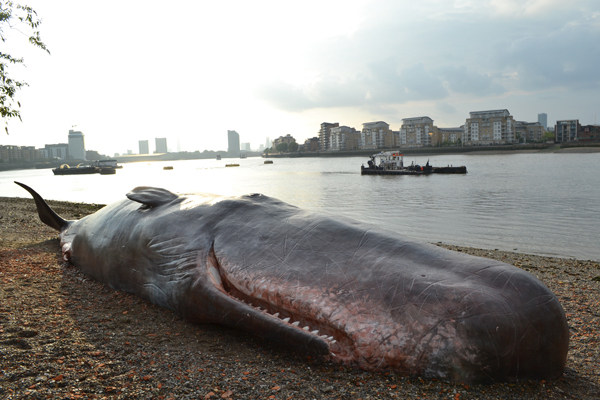 The Docklands is the place where a lot of captured sperm whales were processed for oil, and in 2006 a pilot whale reached London. 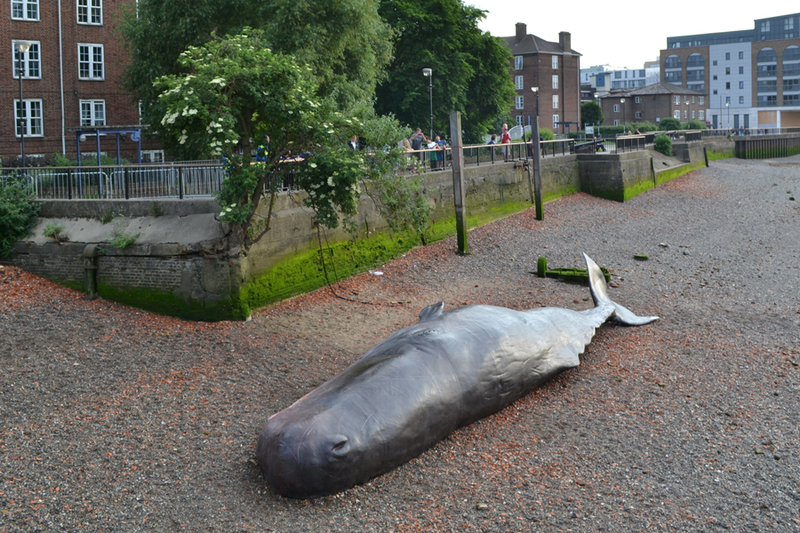 So we were in the right place.